So after attending a dealer today regarding a couple of outstanding recalls and making enquiries I was advised that my vehicle will be subject to an upcoming recall for a timing chain pre-tensioner. I note mine is a MY10 VRX Sportback with a 4B12, but unsure of the scope. Last edited by benyamin on Thu Feb 22, 2018 10:38 am, edited 1 time in total. That might be an old recall, I had similar about 3 years ago. 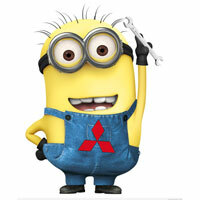 Easy way to check your Lancer is just click below and enter you VIN, it will show any outstanding recalls for your car. Last edited by benyamin on Wed Feb 21, 2018 6:01 pm, edited 1 time in total. The recalls were issued today. Just curious, when they do they mail out, is it Mitsubishi relying on vehicle registration information, or is it based on purchase information whereby if you move it will be sent to your old address? Yeah, funnily enough I missed that when I posted this arvo...! It's whatever Owner Details MMAL has on file for the VIN. Following the link in Craig's post above and submitting your VIN. The results page will contain a link to update your details. "The engine auto tensioner flange may crack under high load driving conditions, which may cause the drive-belt to fall off." So now I'm wondering if this is the same recall. The Service guy did confirm it was for a timing chain. Just rerun my VIN on the other link and nothing. I'll be near the dealer tomorrow so will book the car in for next week for the check. I had to take in my 'new' 09 VRX the week after I picked it up about 3 years ago because of some recalls, which I knew about before the delivery day and they said they would take care of it... they didn't. So I was without my new ride for the day, luckily I worked just around the corner so not a big hassle. FYI the drive belt (aka fan belt) is different to the timing chain. After picking up some parts at the dealer today, I believe this is the recall posted at the ACCC yesterday. As such I have updated the title. 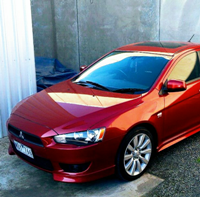 Asked the dealer today (9am) and right now its an advisory, and as such they can't do anything for this. Unless that info changed during the course of the day. They're still waiting for parts and the actual service bulletins. MMAL will trickle out the letters so that the dealerships aren't overwhelmed. I just want mine dealt with in the next few months before a planned 10,000km road trip later in the year. Yeah, that's understandable, Craig. At least IMHO. Perhaps you could share that with MMAL and get some priority attention? Probably need to follow up with a call to 1800 931 811 if they don't get back to you. I'd expect some duck shoving, so I'd get your ducks in a row beforehand by making sure their owner records are up to date first (notably your preferred dealership). All I wanted to do was book it in, as I understand they need to check it first. Now whether they need stock on hand so they can replace the part if needed is probably the reason. searchable list Tensioner VIN List for finding if your vehicle is affected. The engine auto tensioner flange may crack under high load driving conditions, and this may cause the drive-belt to fall off. If the drive belt falls off, the engine warning light will illuminate, a loss of power steering assistance will occur, the battery will discharge and the engine may overheat and stall. This may pose an accident risk to the driver and other road users. The sunroof glass outer frame adhesive may become weak due to inappropriate resin material. As a result the sunroof glass may detach from the outer frame when driving. If the sunroof detaches from the frame while the vehicle is in use it may pose an accident or injury risk to the vehicle occupants and other road users.